If you want evidence of a place informing art, take the poem The Lake Isle of Innisfree. Here we have no more than an uninhabited isle in Sligo’s Lough Gill but to Nobel Laureate WB Yeats, it became something different entirely. Hear those words ‘I will arise and go now, and go to Ininsfree’ and you’re in. Yeats isn’t going to the island alone – you’ll be right there with him. You might wonder if Ireland has any inspirational places left for the rest of us. Is there a corner of the island that we can call our own, where a blank page comes alive with that prose and that poem we’ve been agonising over for months? We needn’t worry. People like Irene Graham have us covered. 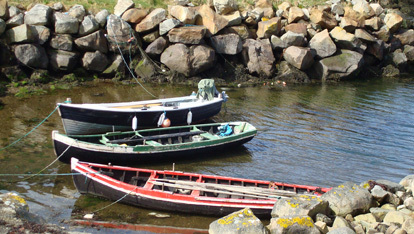 As one writer, Vivienne Nichols from the USA found out, Inis Mór, retains the power to bewitch “Creative writing on the magical, mystical island of Inis Mór was an extraordinary experience. Lyrics, lore and landscape offered refreshment, while Irene Graham’s mastery and generosity helped and inspired beyond expression”. 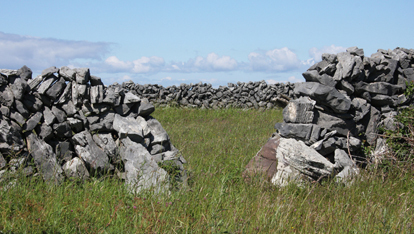 With another two Aran Islands to Inis Mor’s east, there’s plenty of inspiration for everyone. And if dreaded writers’ block does strike, just take a moment and drink in your surroundings. 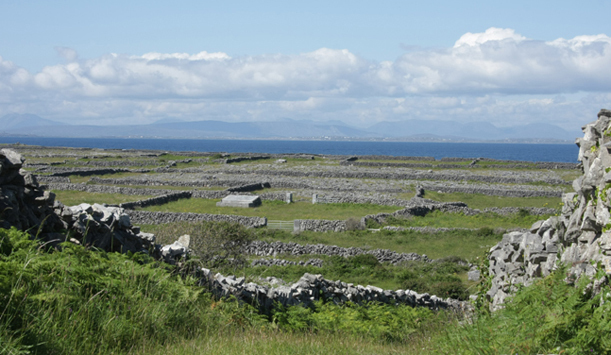 Imagine maybe how JM Synge felt spending his summers on the Aran Islands immersing himself in the local culture, or how Narnia came to life for CS Lewis as he traversed through the Mourne Mountains. Modern-day authors continue to soak up their Irish settings too. Maeve Binchy always gave her favourite Dublin locations pseudonyms in her novels; Roddy Doyle’s best work is set in North Dublin while Colm Toibín included his native County Wexford in countless tales. In her recent award-winning novel, Solace, Belinda McKeon delicately reminded us not to overlook the midlands with its pastoral romance and connection to the rural elegance that still beats at Ireland’s core. While many of Ireland’s sights may leave you speechless for some moments, we’re certain you’ll have plenty to write about them for many years to come. Irene Graham is the founder of The Creative Writer’s Workshop and The Memoir Writing Club. She is also the author of The Memoir Writing Workbook.